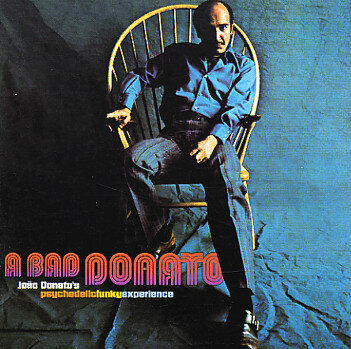 In 1970, João Donato, one of the greatest Bossa Nova pianists and composers, recorded the most experimental record of his career which resulted in a unique fusion between Brazilian music, jazz, funk, rock and electronic music. It can boast the participation of exceptional musicians such as Bud Shank, Dom Um Romão, Oscar Castro Neves and Warren Klein and arrangements in partnership with Eumir Deodato. A Bad Donato, is finally being released on CD – remastered and with an exclusive account by the artist – to reveal why it has become a landmark for contemporary modern music. Oh man, love this record. Can't believe it took so long for a proper CD release!